4. 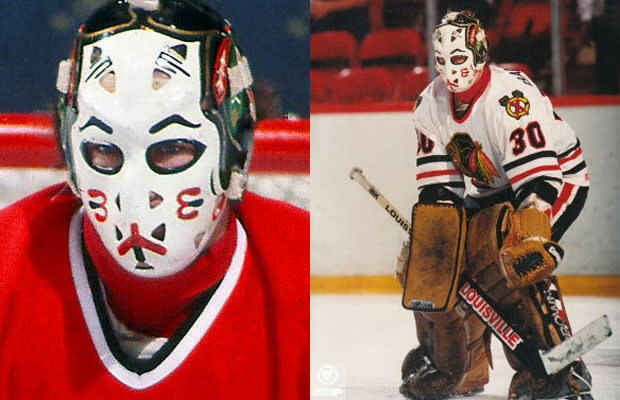 Murray Bannerman, Chicago Blackhawks. Designer unknown, 1980-1985. Not only was this design a three-dimensional paint job of the Blackhawks logo, it also had an underlying reference to Japan's Kabuki culture. Sinister, spooky, and sophisticated.